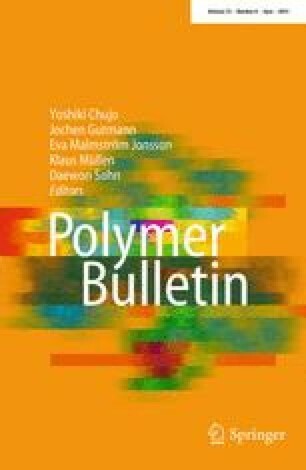 Quasiliving cationic polymerization of styrene was obtained in the system 2-phenyl-2-propano-/AlCl3·OBu2/Bu2O in a mixture of 1,2-dichloroethane and n-hexane (55:45 viv) at -15 °C. The molecular weights of the polymers (Mn) increased in direct proportion to the monomer conversion. However, the experimental Mns are essentially higher than theoretical ones, indicating that slow initiation relative to propagation takes place. The molecular weight distributions were broad (Mw/Mn∼2.5), probably due to the slow initiation and slow exchange between reversibly terminated and propagating species.